As a student or alumni, you can now easily include your family in the Perspectives experience with The Journey. The Journey is made up of 15 biblical studies full of inspiring activities, thought provoking discussion points, and actionable ideas that correspond with your Perspectives lessons. 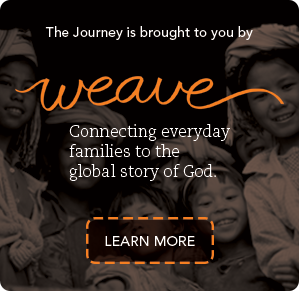 Designed by parents, The Journey lessons are one-pagers full of ownable concepts that have been crafted to help you shape your family into World Christians. The Journey is a free download. We simply ask that you would share with us how you used The Journey with your family and if you have any suggestions to make it better. Thank you for sharing your point of view. Download the complete set in English or Russian.